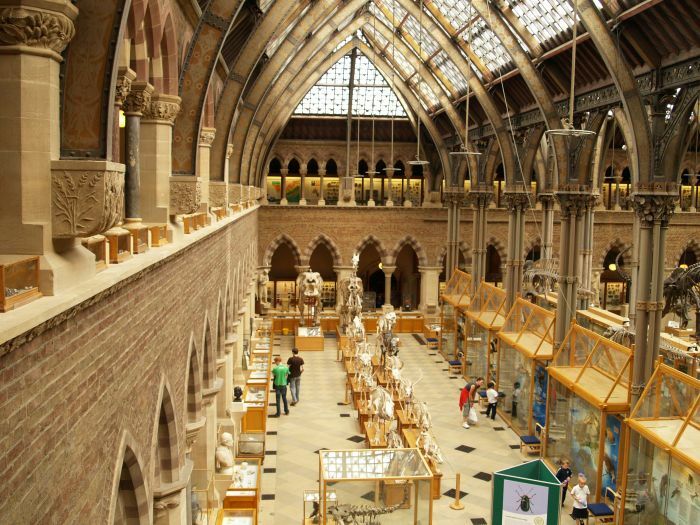 The entrance to the fine building of the University Museum of Natural History. 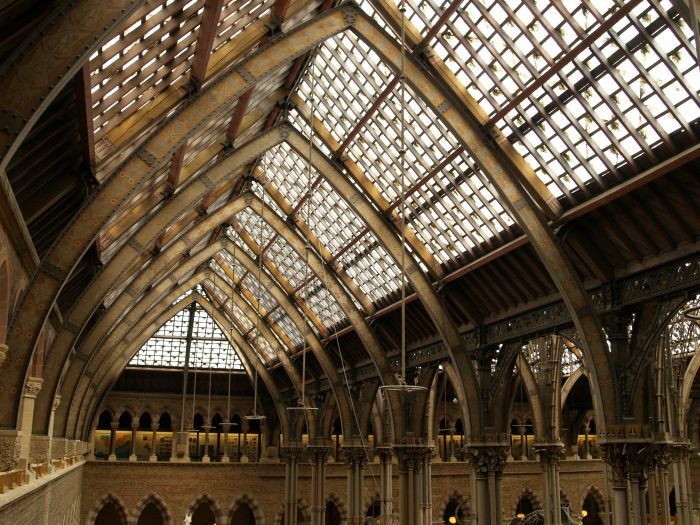 University Museum of Natural History: The iron framework and pillars supporting the roof. 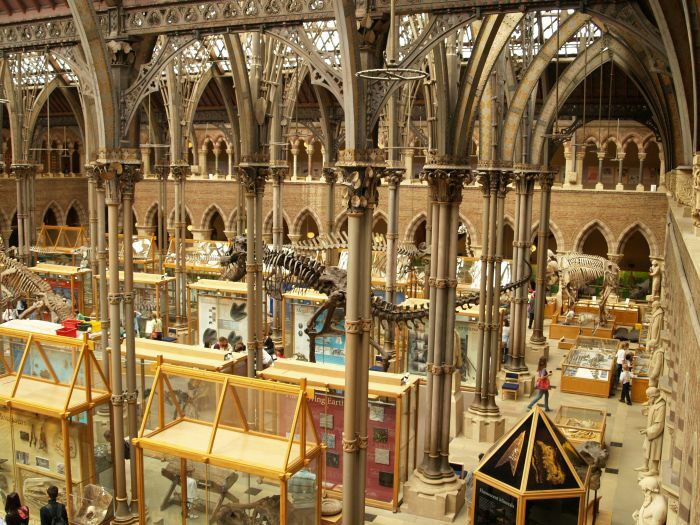 University Museum of Natural History: Some of the animal skeleton exhibits. 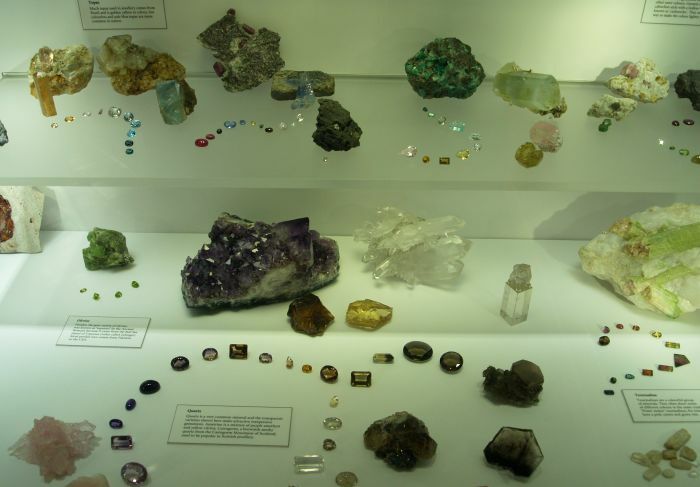 University Museum of Natural History: Some of the mineral stones, some of them quite precious! 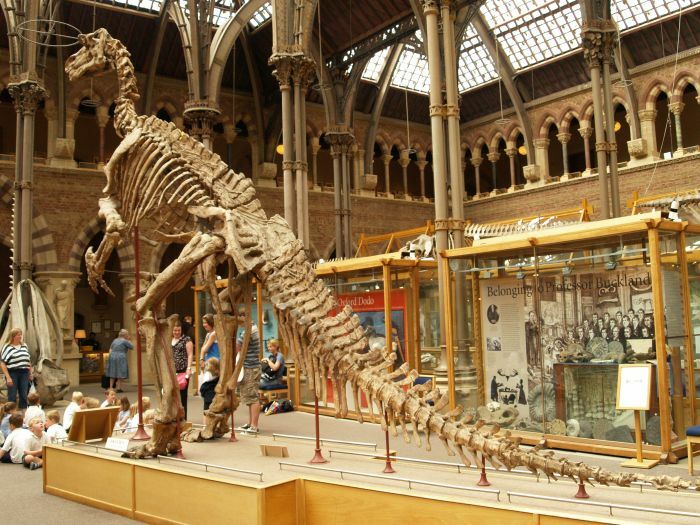 University Museum of Natural History: Some dinosaur skeletons parade in the central aisle. 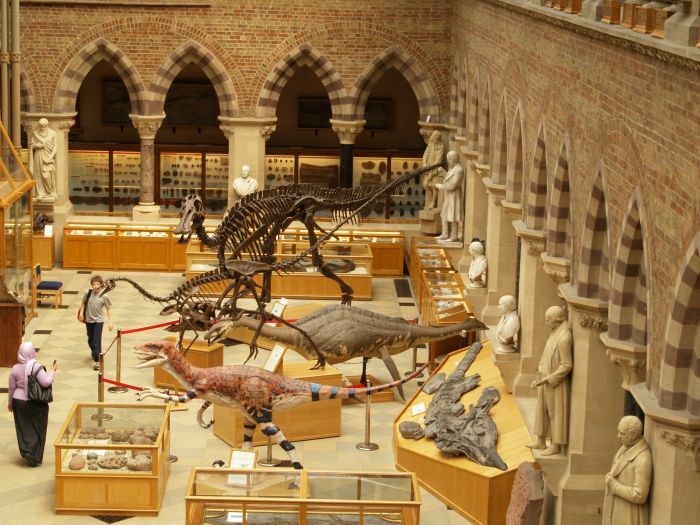 University Museum of Natural History: More dinosaurs by the wonderful alternating coloured stonework and brickwork and statues of famous scientists. 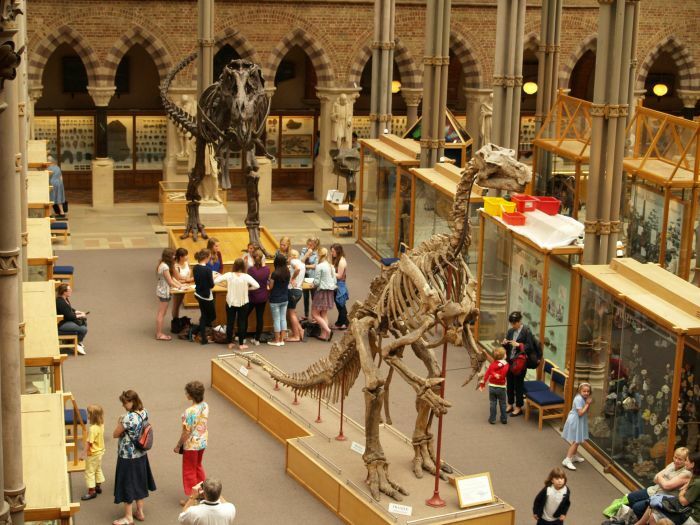 University Museum of Natural History: Its a very popular museum! 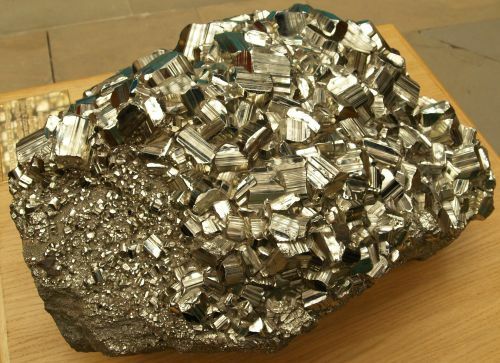 and deservedly so! 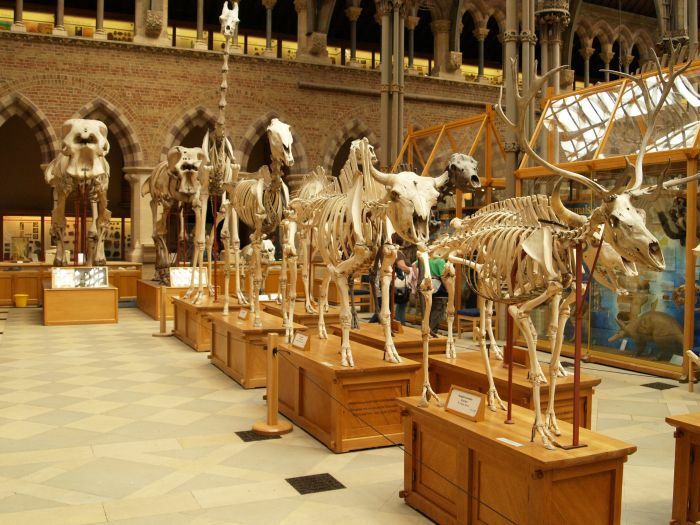 University Museum of Natural History: A close-up of some of the animal skeletons. 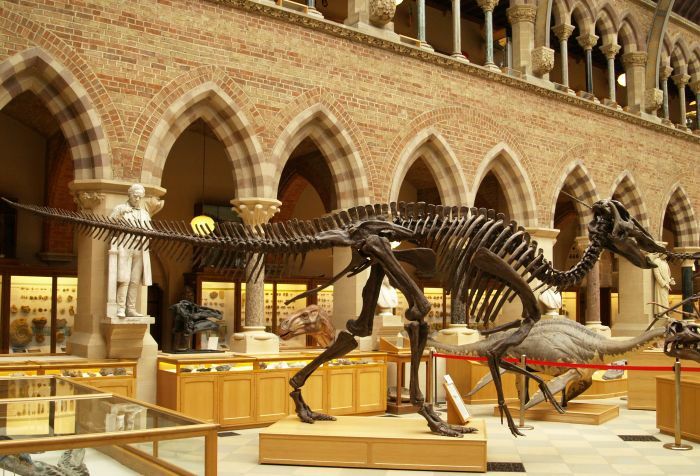 University Museum of Natural History: Close-up of a dinosaur. 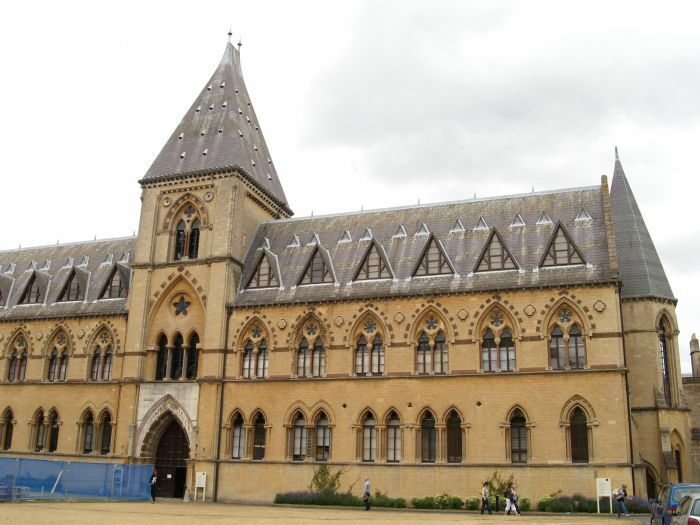 University Museum of Natural History: A 'full frontal' view! 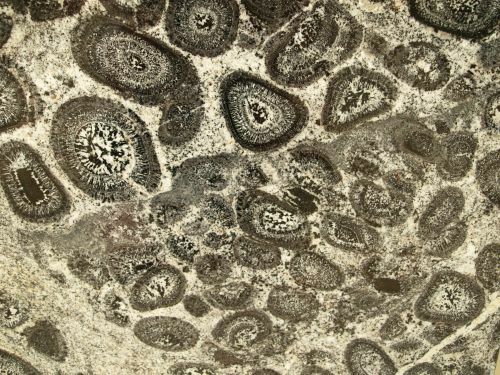 University Museum of Natural History: Not the remains of early organisms, a polished surface of a rare form of crystalline granite. 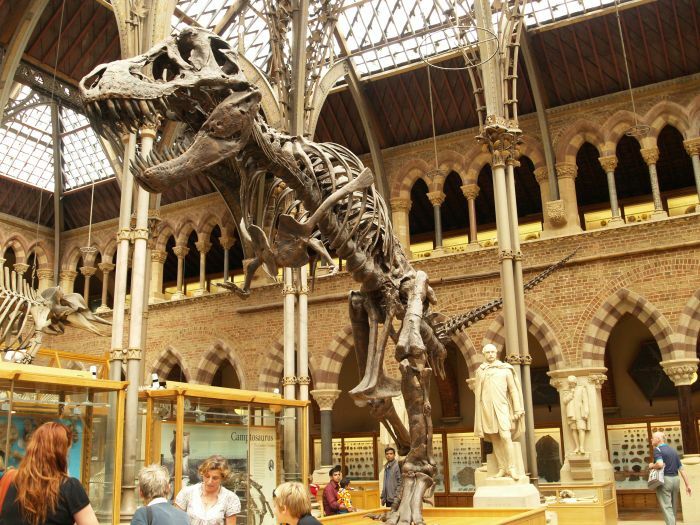 University Museum of Natural History: This dinosaur skeleton looks a fast mover! 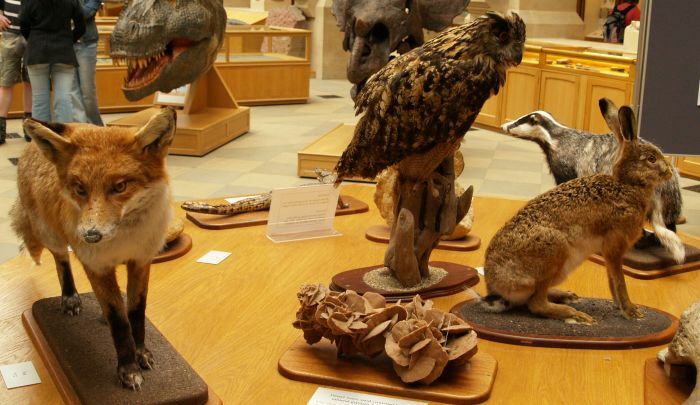 University Museum of Natural History: A fox, owl, rabbit and badger for the children to touch. 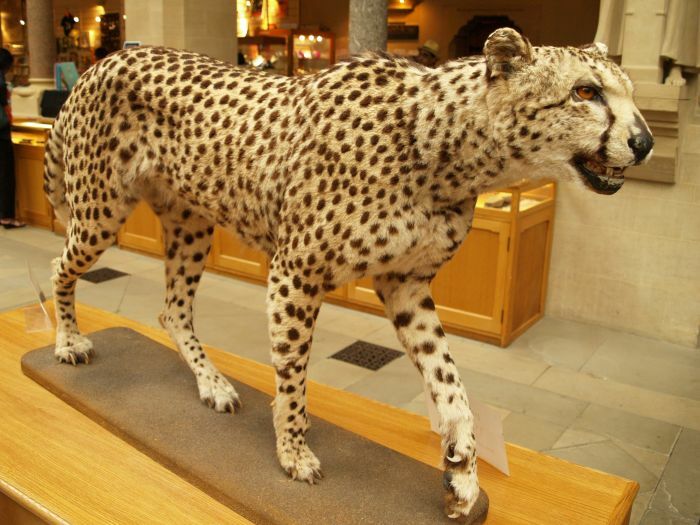 University Museum of Natural History: Another fearsome stuffed animal!